Road safety is a high priority for the Belleville Police Service and its Traffic Safety Unit. Whether it be speeding 80 in a 60 zone, or driving with an expired VAL tag, the traffic unit has the tools and knowledge to enforce the rules of the road. 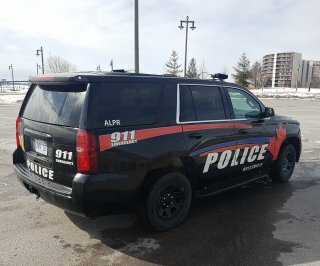 Currently, the traffic unit drive around the community with police cars using Automated License Plate Reader (ALPR) cameras that check for expired license plates, suspended drivers, stolen plates and people that need to be monitored. While offenders might not always be stopped, driver information is saved and stored in different databases. This helps police avoid having to chase down offenders and be a possible danger to other motorists on the road. Along with the ALPR cameras, the traffic unit uses radar (radio waves) and lidar (light waves) machines to check for speeders, either up close and personal or from far distances. The police also enforce a distracted driver campaign that has a zero-tolerance policy. Statistically, more people are getting hurt in collisions involving distracted driving than impaired driving. The penalties for distracted driving include a significant fine as well as an automatic driver’s suspension. The first offense will be a three-day suspension that goes up to seven days and thirty days for subsequent offenses within a two-year period.